You’ve finally found the home of your dreams, and you can almost taste your first dinner with friends and family in your shiny, new kitchen, but not so fast. 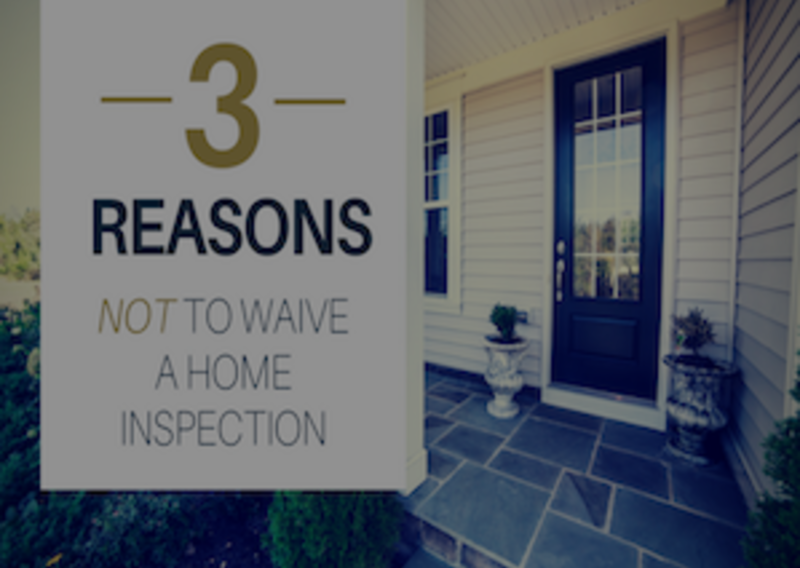 Before you seal the deal, it’s very important to consider the 3 reasons why you should not waive a home inspection. You might be reading this and thinking: “But an inspection is $500!” It’s true, home inspections can be a good chunk of change. Think of it this way: a $500 inspection cost is much less expensive than $20,000 in foundation repairs. And that is exactly the sort of cost you could end up with if you don’t have a home inspector going over your almost-home with a fine toothed comb. 2. The ability to negotiate. Having a home inspection gives you power as the buyer. Finding a small issue during inspection may mean the difference between a house just out of your price range and a home within your budget. Additionally, you can choose to include a clause in the contract that permits you to back out if certain issues are found by the inspector. 3. Knowing what you’re getting into. Probably the most important reason to have an inspection done before buying a home is so that you have all the information. With a house likely being the biggest purchase you will ever make, you want to be sure your investment is a good one. The more you know up front, the fewer surprises there will be in years to come. And since determining your home-owning budget is about more than just the mortgage, a home inspector can give you a more well-rounded estimate of your monthly costs while in your new home. We may not be a home inspector, but we’re here to help in your home buying process! Let us know how we can meet your needs! After all, we’re in the business of welcoming you home for a lifetime.